Quality Products. Quality Service. Our Way of Life for 120 Years. 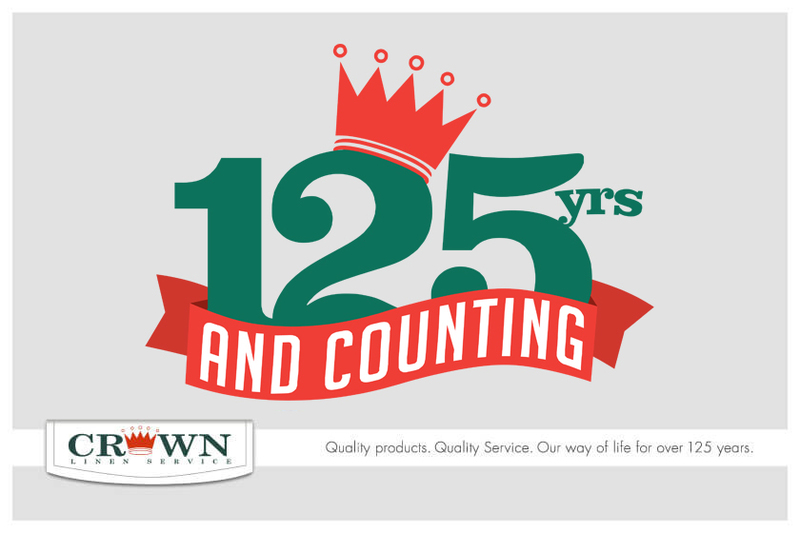 Crown Linen Service has been working in the St. Louis and Columbia areas for more than a century. We have a long history in the linen service of great customer service as well as beautiful, durable products. We are a small company that serves the St. Louis metropolitan area, the Columbia, Missouri area, and several cities throughout western Illinois. We believe our specialized and individualized service to our clients makes us stand out as a company. When we take on a client we make a personalized order and customize the delivery and pickup schedules. We also make sure to remain flexible to suit your every need at any time. 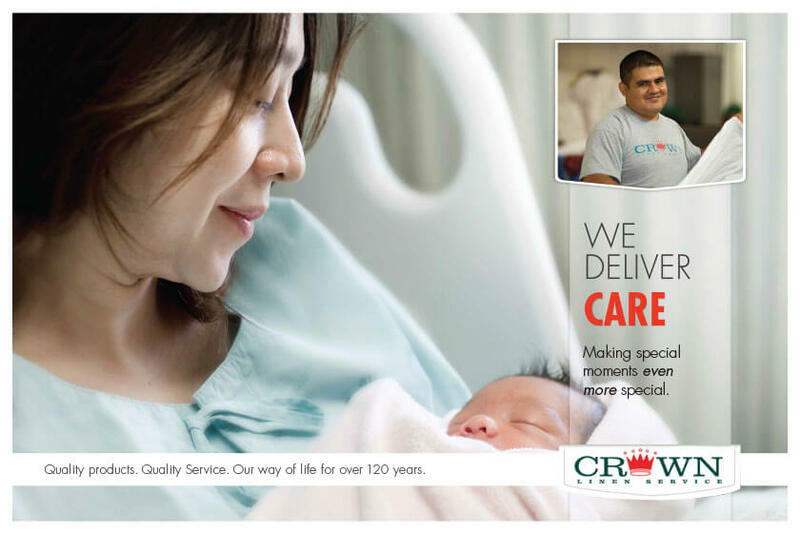 Our dedication to personalized service has made the difference for Crown Linen Service over the last century. 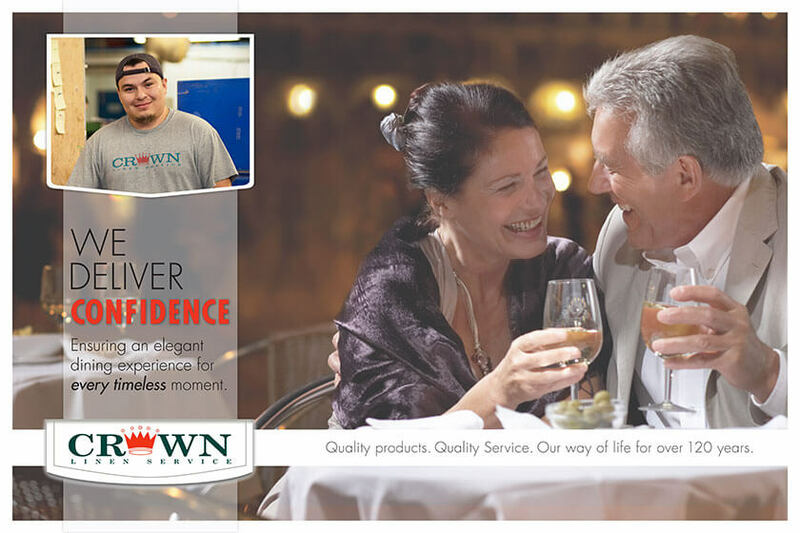 With Crown Linen Service you can rest assured that your service will be punctual, your linens will be flawless, and our employees will be polite. Our customer service reps know our clients on a first name basis. We pride ourselves on forming relationships with our clients. 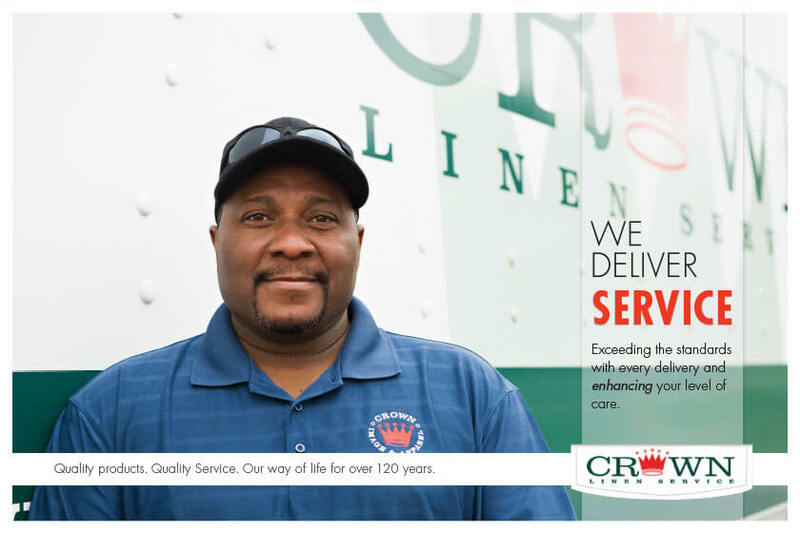 When you start service with Crown Linen, one of our service representatives will be assigned to handle your account and all of your deliveries. You won’t see a new unfamiliar face every other day. You will get to know your service rep.
We continue to stay ahead of ongoing changes in the linen rental field – we stay competitive by offering our small-town service attitude with a variety of the most up-to-date techniques in the field. We make sure that each member of our staff is as invested in the success of your company as we are in the success of ours. If you have any questions, or you would like to learn more about your business joining the Crown Linen family, contact us today!